Buy the three DVD set and save money! Coach Al Sokaitis provides a comprehensive program designed to help young players develop essential basketball fundamentals. He presents a wide variety of creative and essential practice drills for players and coaches. Each skill is taught in detail, including: ballhandling, shooting, passing, one-on-one moves, defense, and rebounding. 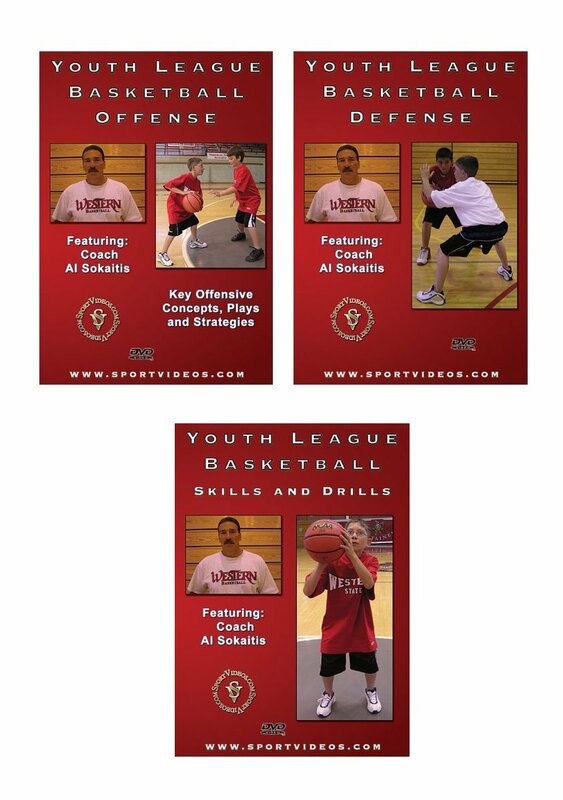 This DVD is a must have resource for anyone involved in youth league basketball. 104 minutes. 2006. Coach Al Sokaitis presents key defensive concepts and strategies for youth league basketball teams. The program covers all of the essential skills and drills that young players will need to excel at the defensive end of the court. Important team defensive principles are also covered in detail. This DVD is a must have resource for anyone involved in youth league basketball. 42 minutes. 2006.